Clash of Olympus is a browser based, side-scrolling, turn-based RPG that places players in a fantasy world largely inspired by Greek mythology. 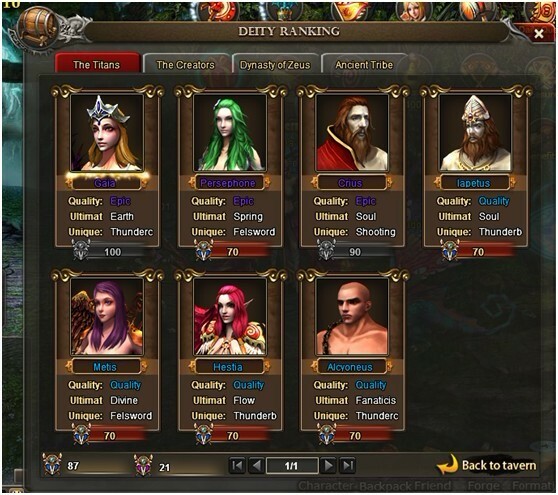 Players can be either male or female and can select from three available classes to play: knight, mage, or archer. Throughout the game players will encounter familiar Olympian Gods, collect heroes, and collect pets while taking on quests in this story-driven MMO available on PC. Hero Cards In Clash of Olympus players can collect hero cards and use them to acquire new heroes to fight by their side. 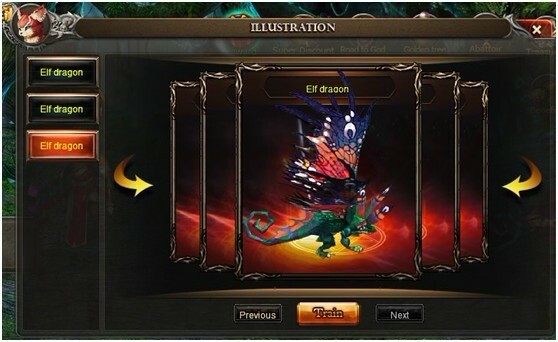 Heroes come in different god series, possess various abilities, and their attributes can be upgraded with Soul Crystals. 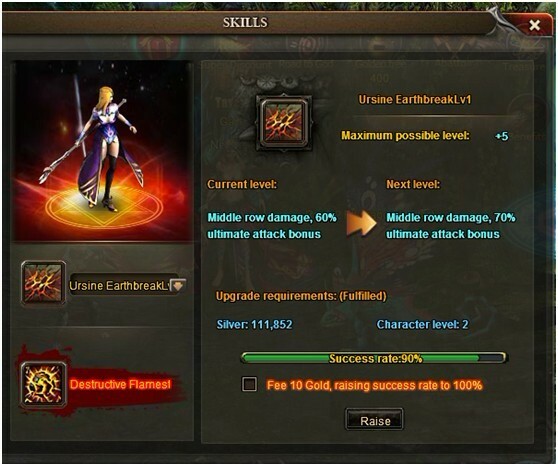 Skill System The two types of skills in Clash of Olympus are unique skills and ultimate spells. When a player's anger figure reaches 100, unique skills can be activated. Only one unique skill can be used at a time, but unique skills can be switched out and there are many to choose from. Ultimate spells are fixed to the character and have a chance to be released when a character uses a unique skill. Pet System Pets in Clash of Olympus are of great use to players. 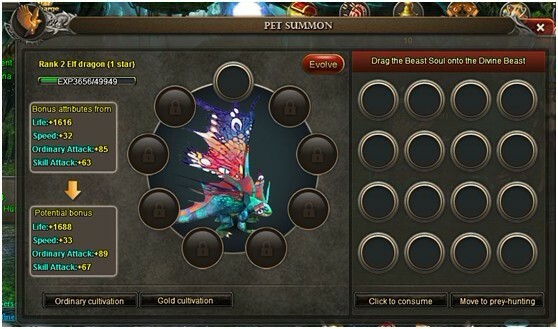 Pets will accompany players throughout the game and offer them a variety of different boosts, like health point boosts. They can even be upgraded to change their appearance and provide more significant boosts to their owner. 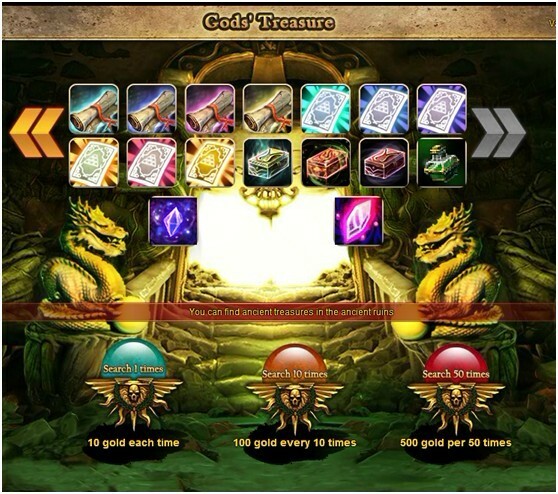 Equipment System When equipment reaches a high enough level it can be upgraded to provide the player with even more benefits. 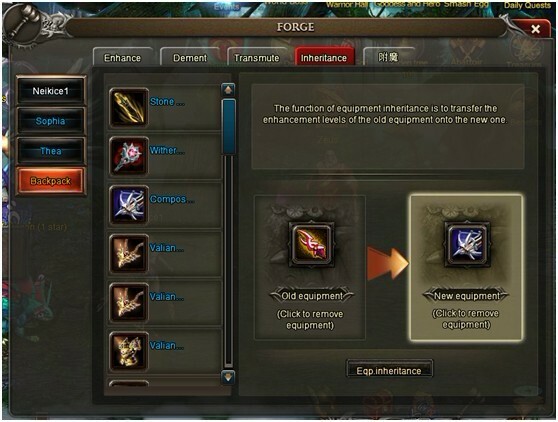 A player can also utilize an equipment transmutation system and an equipment inheritance system to further strengthen their gear.